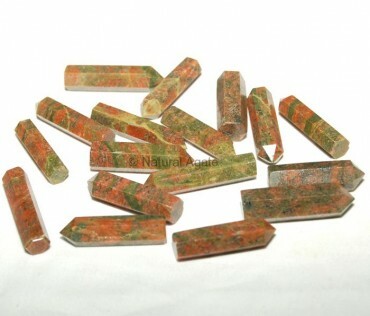 Unakite Pencil Point can be used to improve your hair quality, cure skin issues. Keep it near a sick person to quicken his recovery. Avail this pencil point from Natural Agate. It is 20-30mm long.